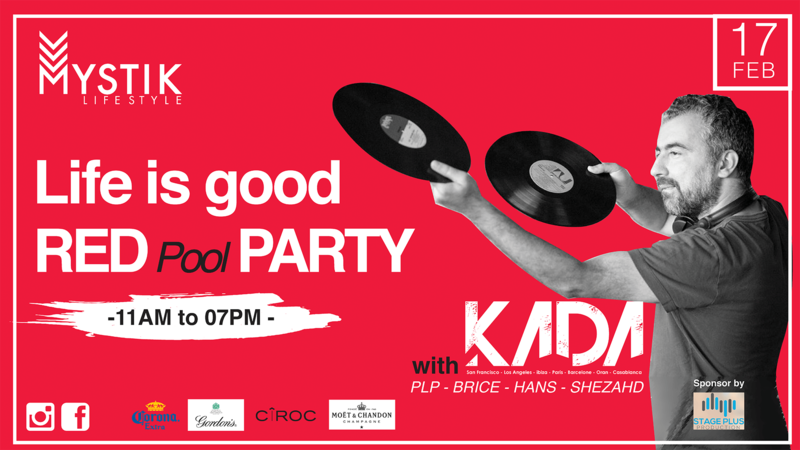 Join us for the first RED POOL PARTY @ Mystik Lifestyle. Mystik is rolling out the red carpet for the first time for a day full of glamor as your favorite place will have a red makeover. Let‘s flood the dance floor, the pool, in red with summer beats and delicious cocktails. Gorgeous dancers, live musicians, entertainment, plus a few surprises! in Benidorme, CDLC in Barcelona, ES Paradise in Ibiza, Morroco, USA at Ruby Skye, Slide, Monroe, Harlot and The Grand in San Francisco and Algeria). Also known as the Artistic Manager of the glamorous Club Sheraton in Algeria and one of the resident Dj’s of the number 1 house radio in France, Radio FG. A pied: si vous habitez dans les environs pourquoi, ne pas marcher !On foot: if you live in the surroundings why not walk!